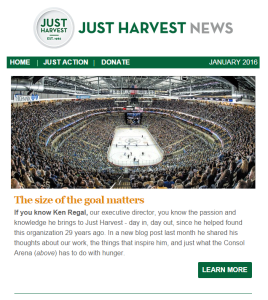 Fill out the short form below to receive updates and information from Just Harvest. We send out regular updates on a variety of topics, and also use email to communicate with volunteers. 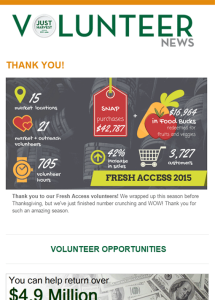 The latest news on hunger and poverty in our region and upcoming events. Send me Just Harvest News (monthly). 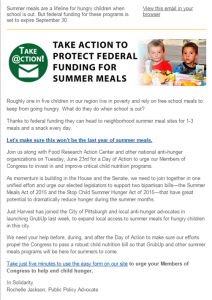 Send me Volunteer News (monthly). Send me Advocacy Alerts with critical opportunities to contact legislators and public officials (occasional).